This five-bedroom, four-and-a-half-bath home is the classic sprawling farmhouse, but elegantly refined. The two-level foyer with palladian clerestory and large great room with cathedral ceiling and curved balcony make dramatic statements, while a bedroom/study with private full bath on the first floor offers a double master suite option. Master bedroom, kitchen, and great room access the covered back porch. 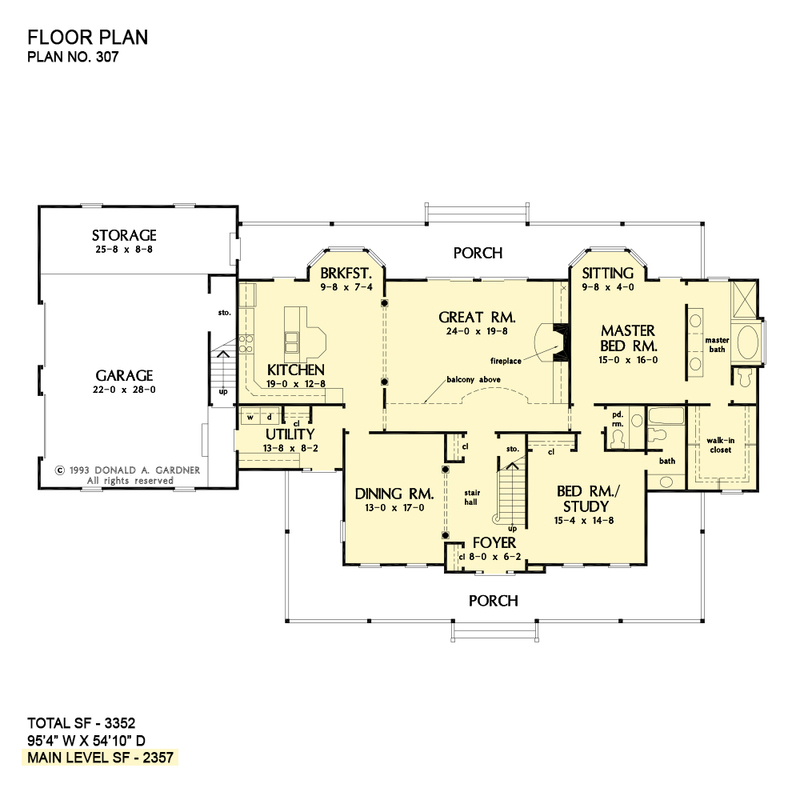 A sitting bay, large walk-in closet, and luxurious bath with private water closet complete the master suite. Additional features include bonus room, attic storage, and three more bedrooms upstairs, one with its own private bath. 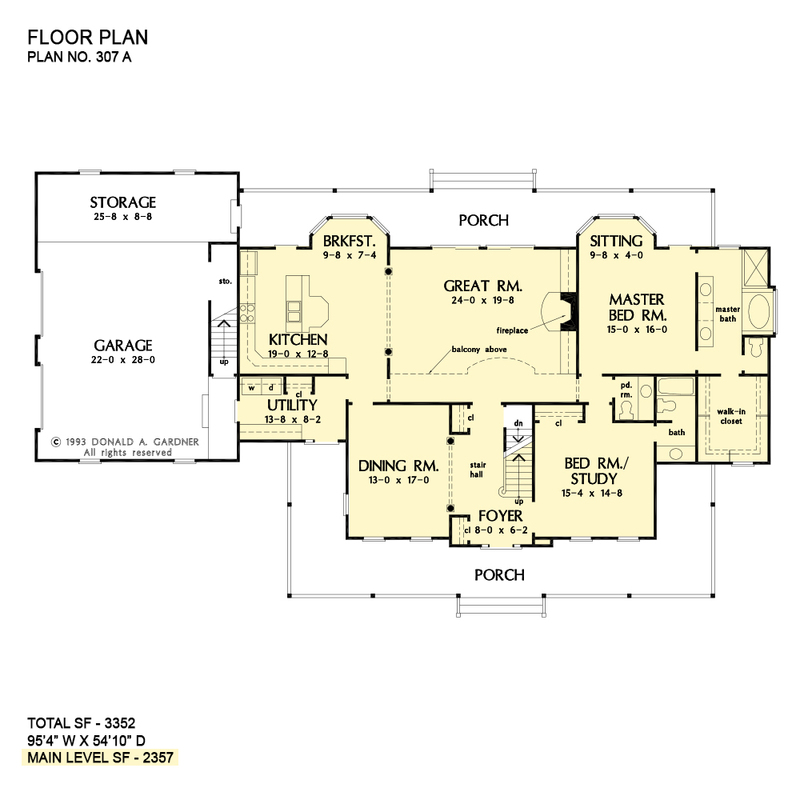 1st Floor: 2357 Sq. 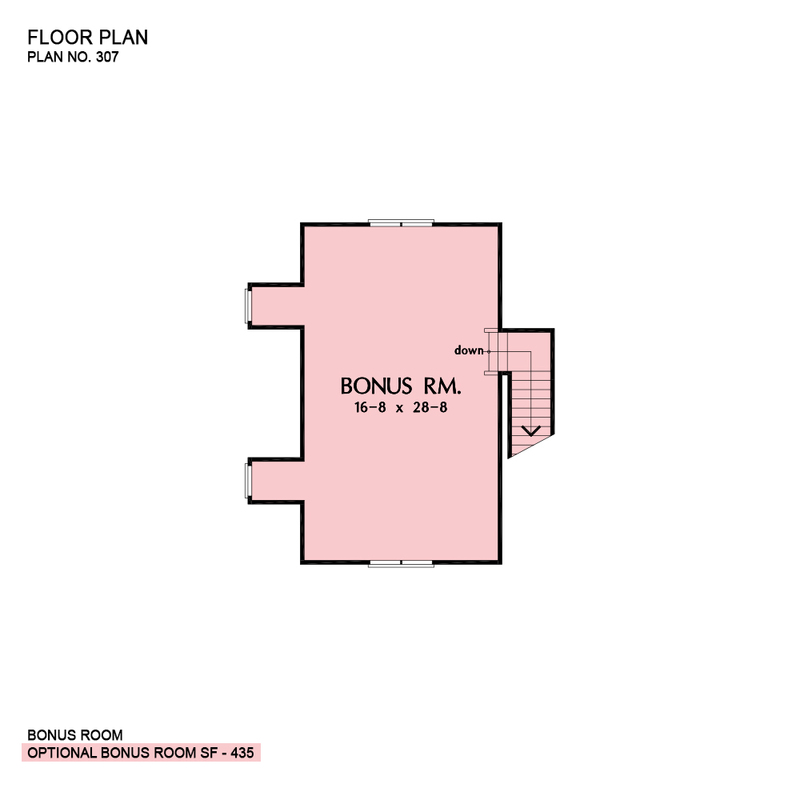 Ft.
2nd Floor: 995 Sq. Ft. 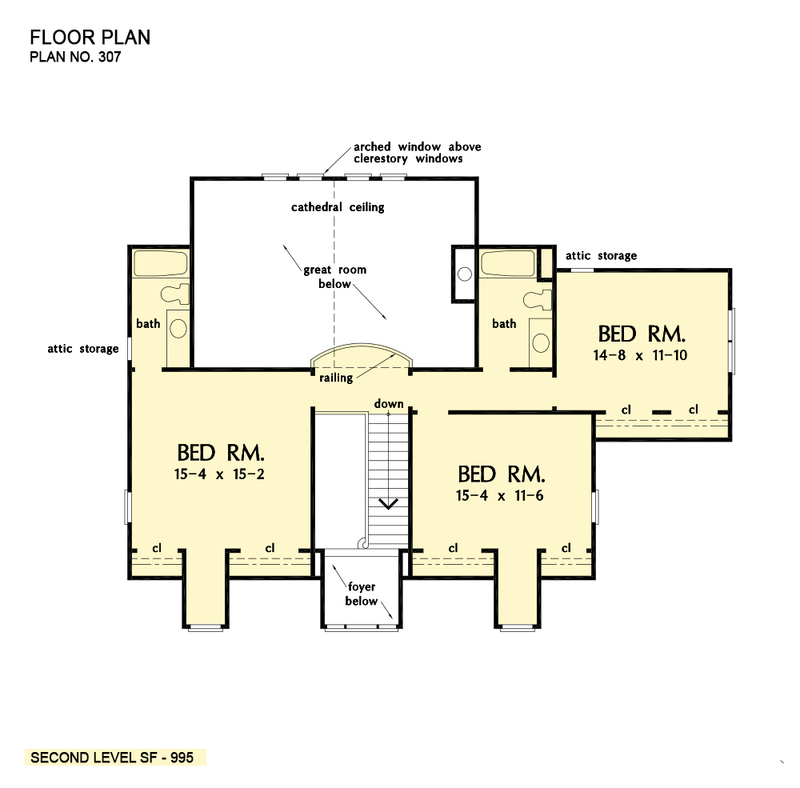 Bedroom / Study : 15' 4" x 14' 8" x 9' 0"
Bedroom #2 : 15' 4" x 15' 2" x 8' 0"
Bedroom #3 : 15' 4" x 11' 6" x 8' 0"
Bedroom #4 : 14' 8" x 11' 10" x 8' 0"
Porch - Rear : 69' 0" x 7' 6" x 0' 0"
Porch - Left : 7' 6" x 12' 6" x 0' 0"
Porch - Right : 7' 6" x 9' 6" x 0' 0"
Storage (1st Fl.) (Sloped): 3' 4" x 8' 8" x 0' 0"
Garage Storage : 25' 8" x 8' 8" x 0' 0"